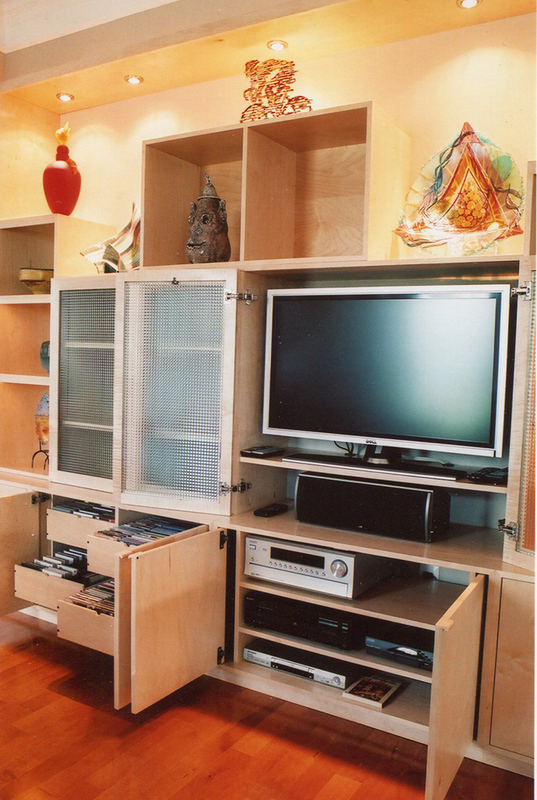 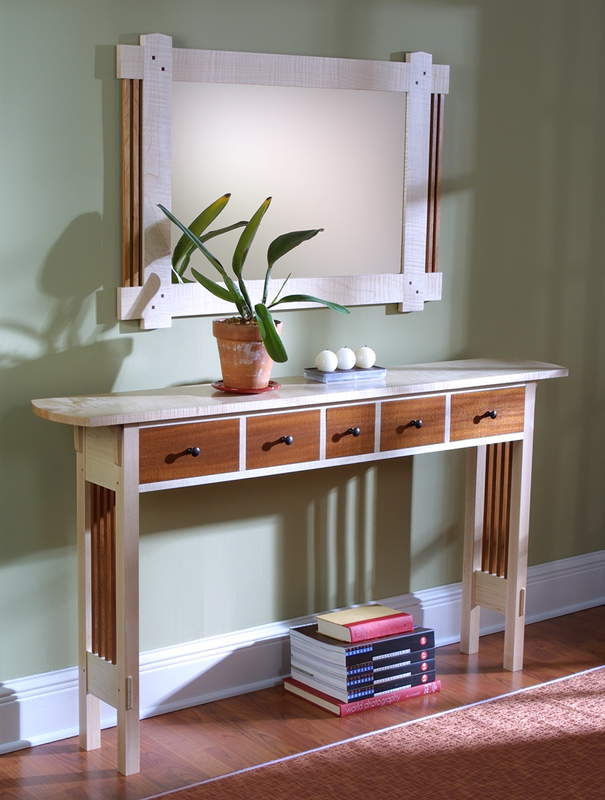 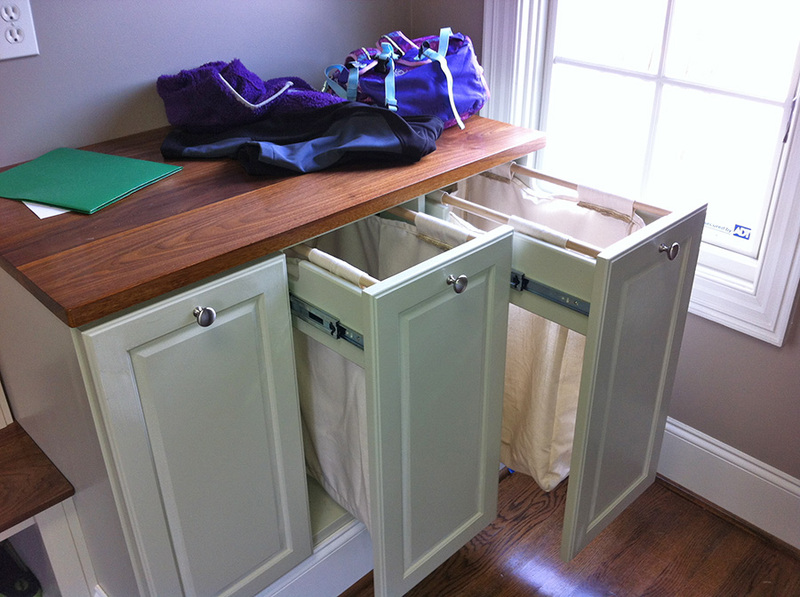 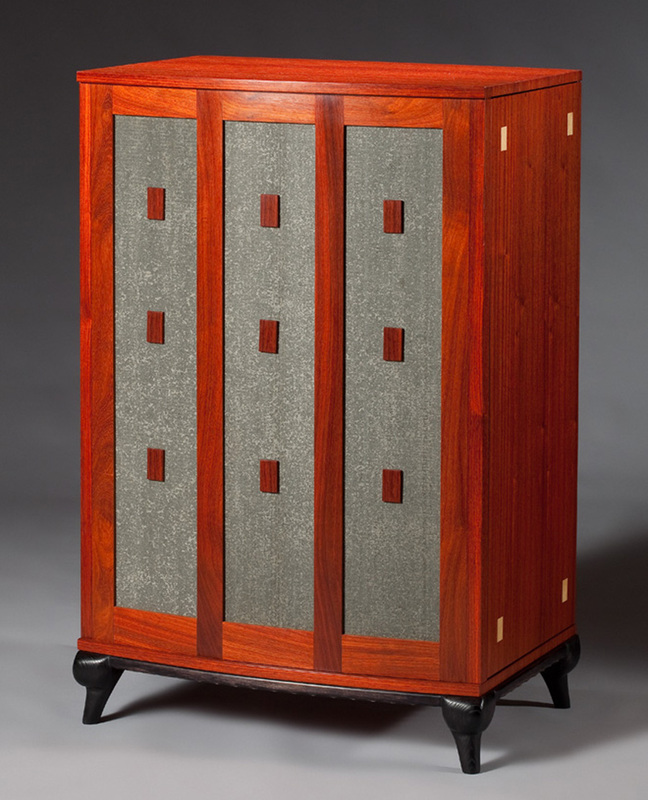 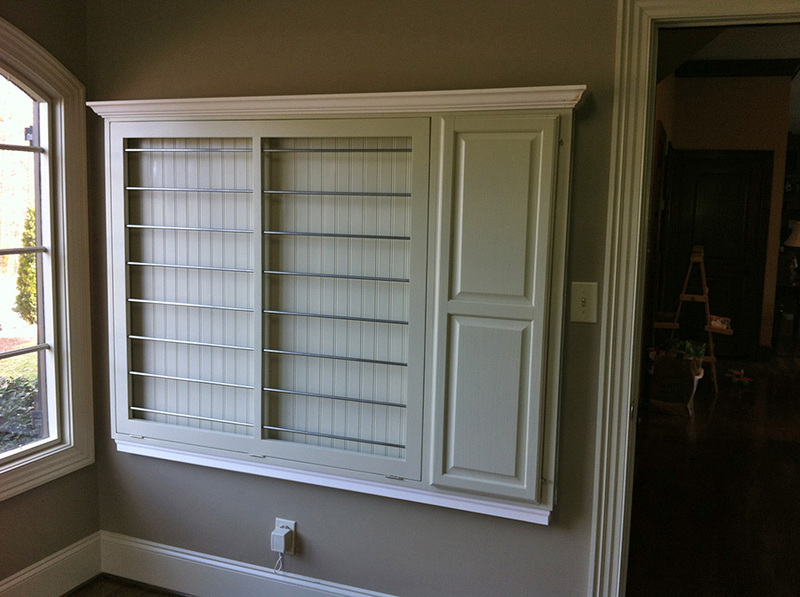 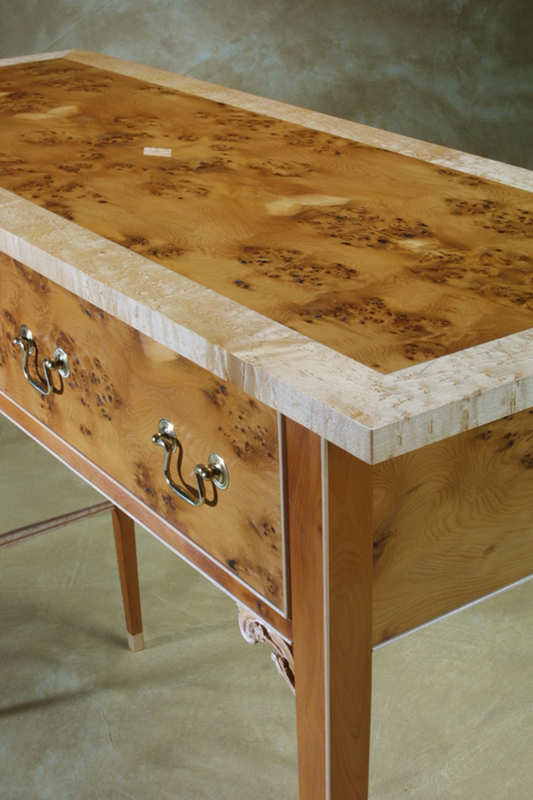 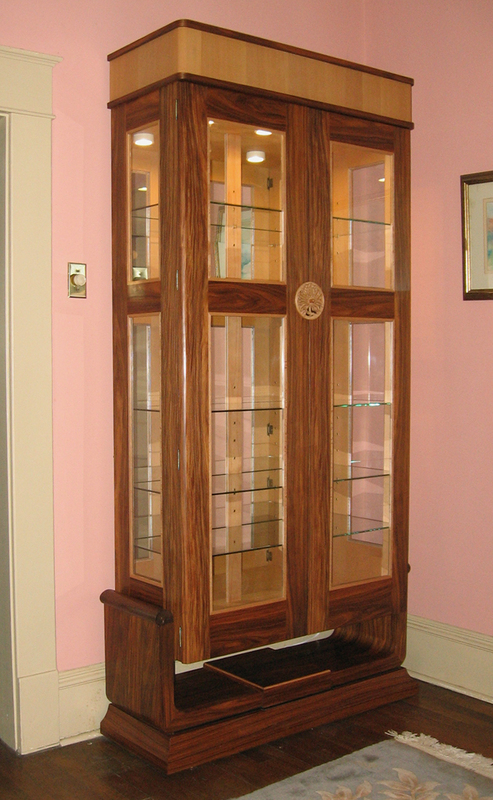 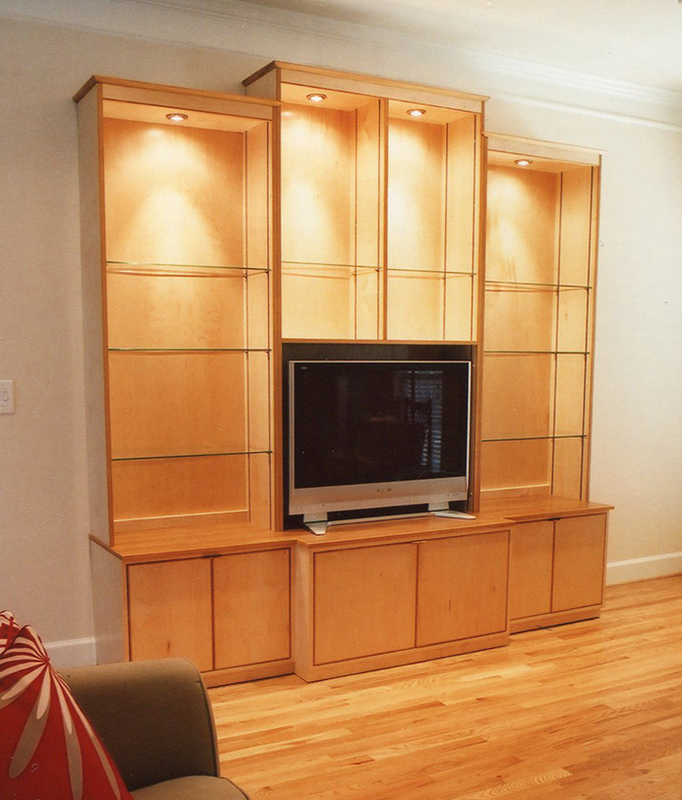 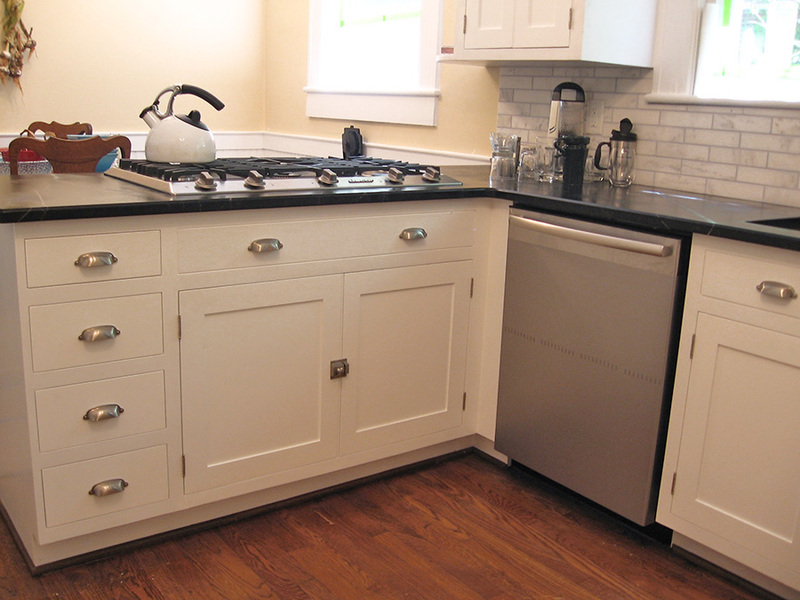 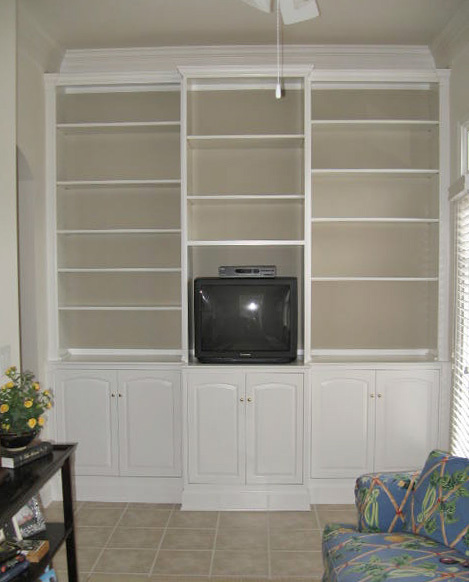 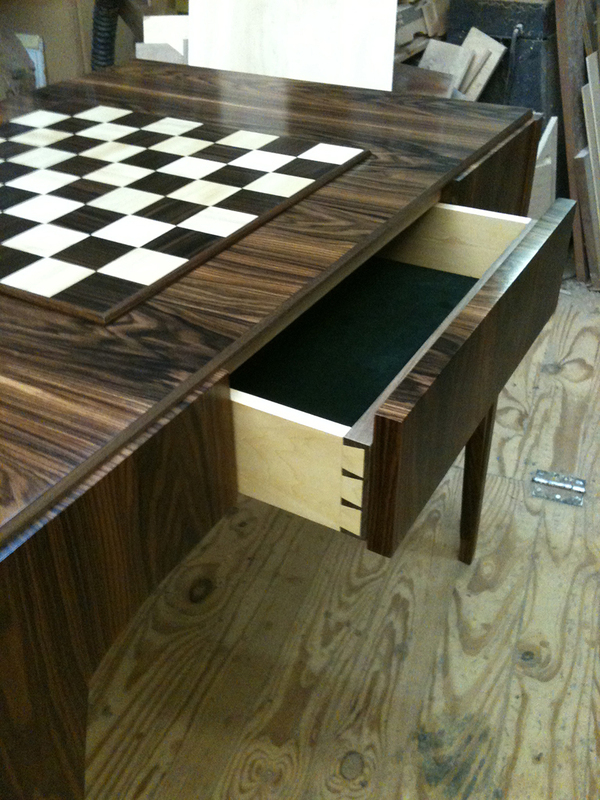 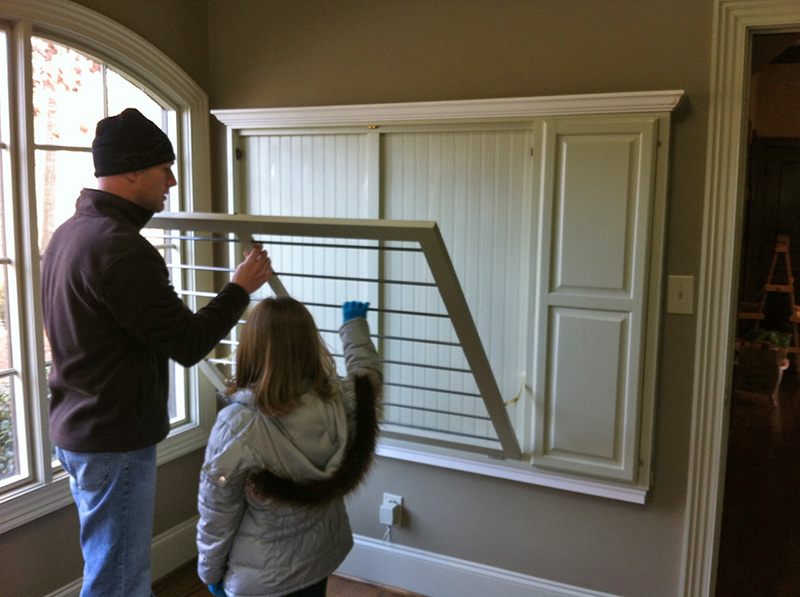 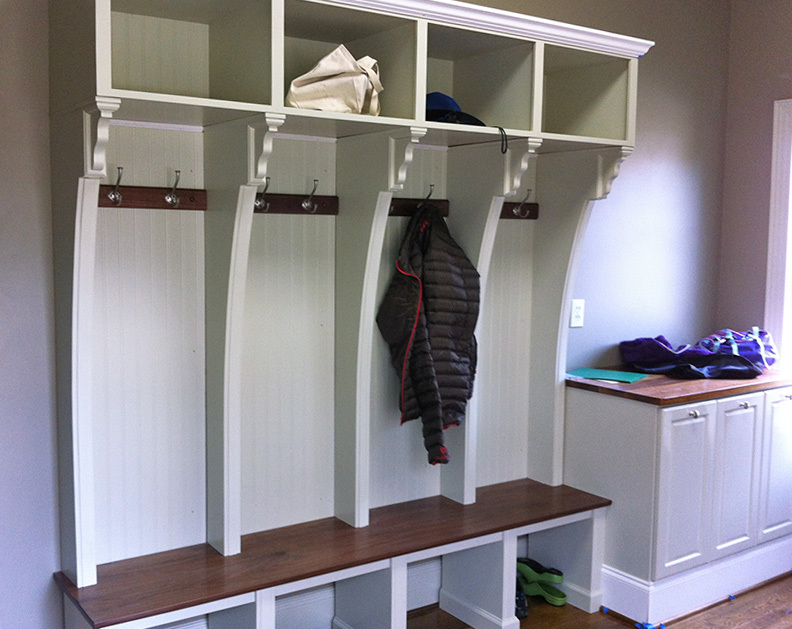 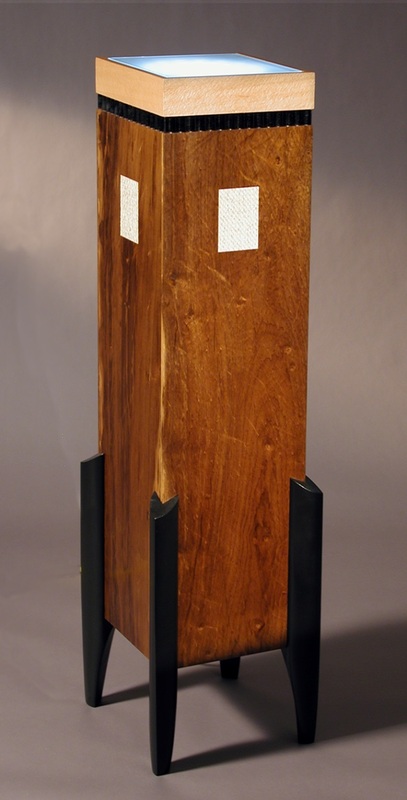 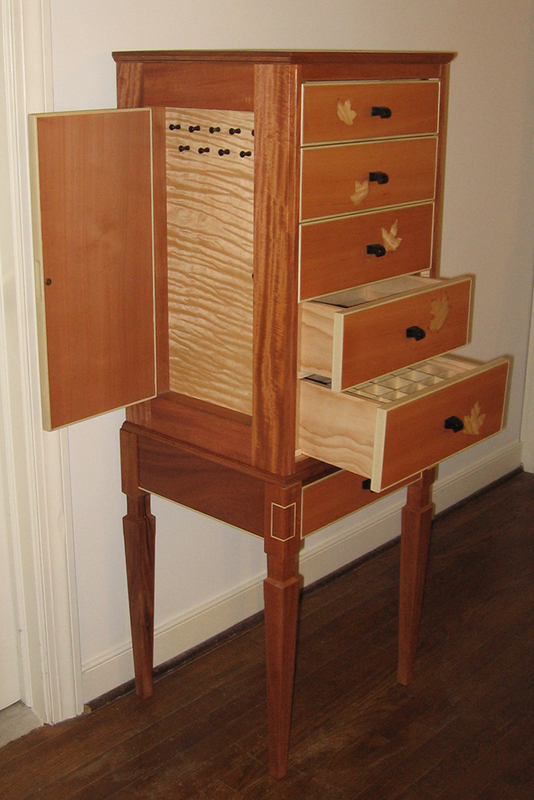 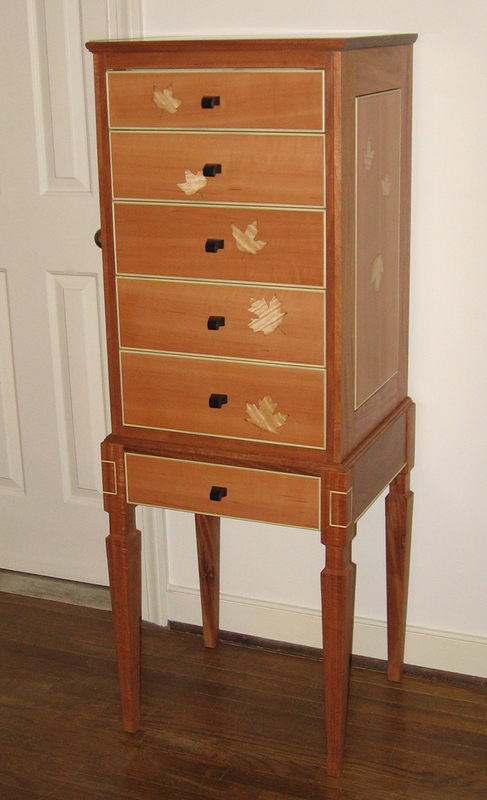 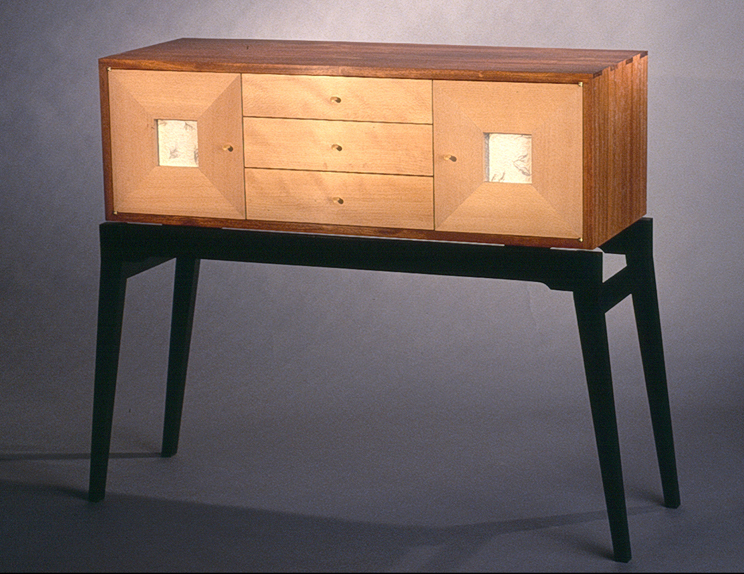 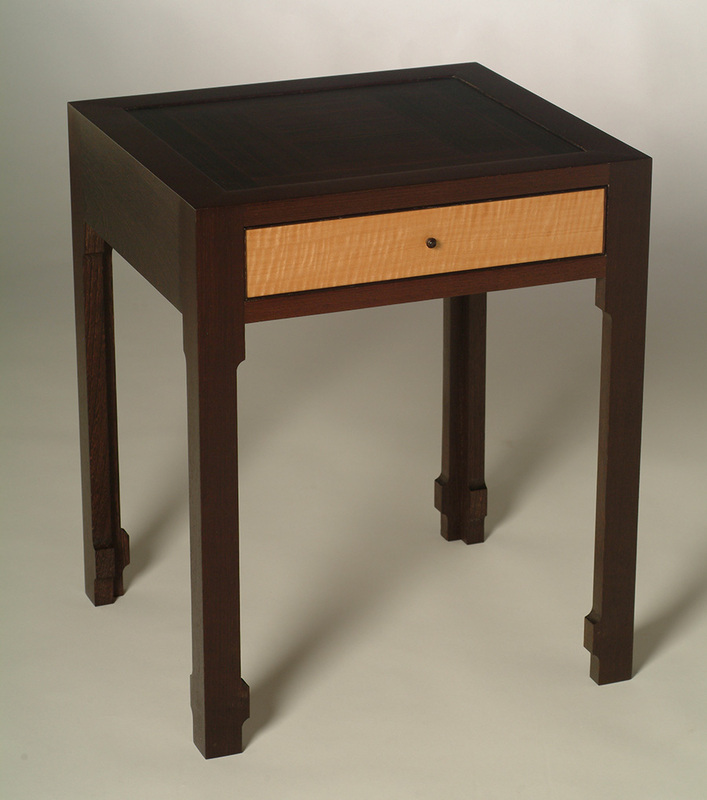 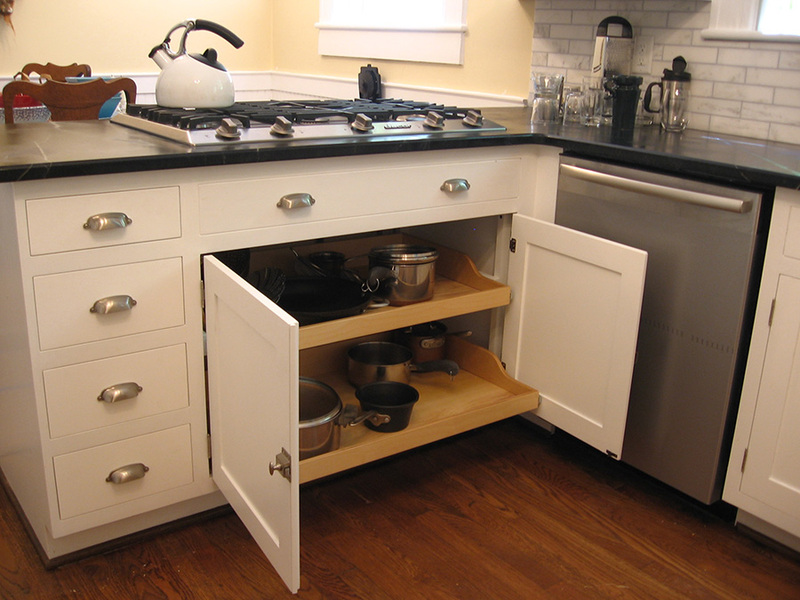 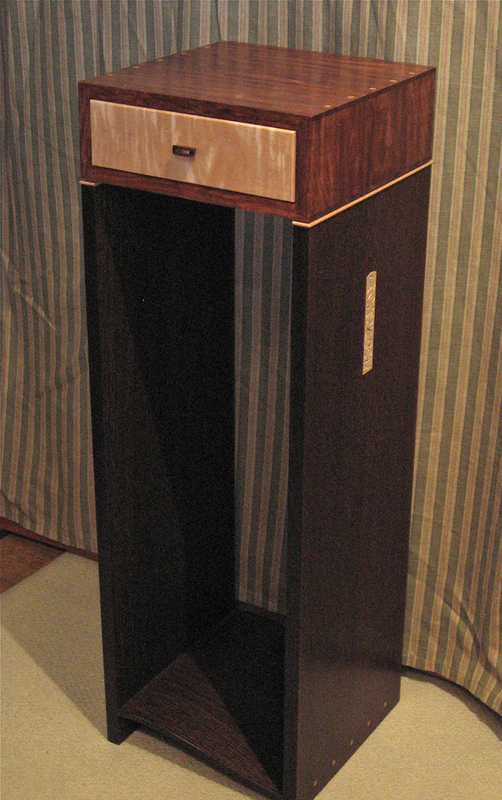 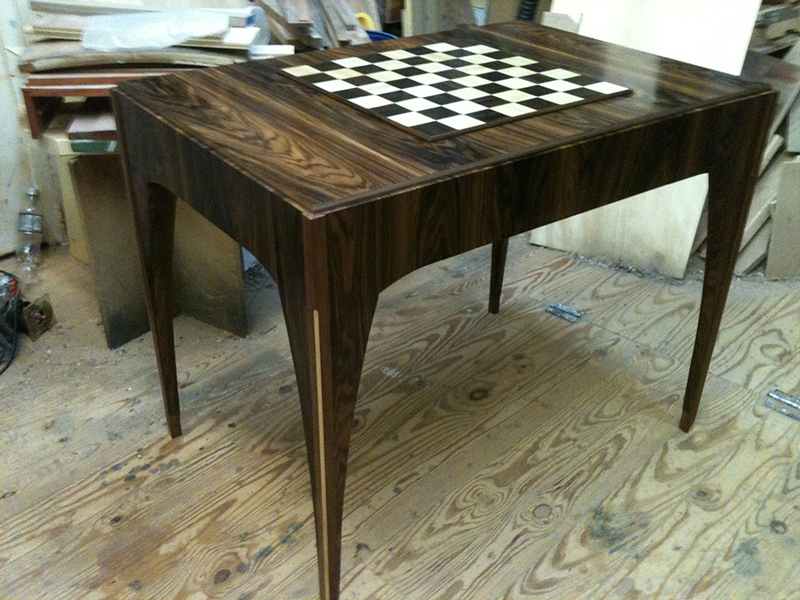 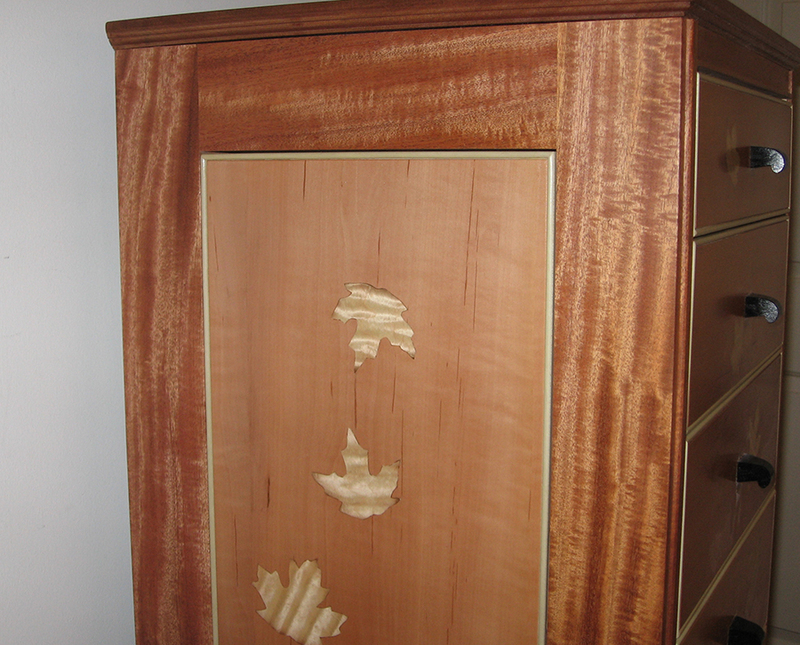 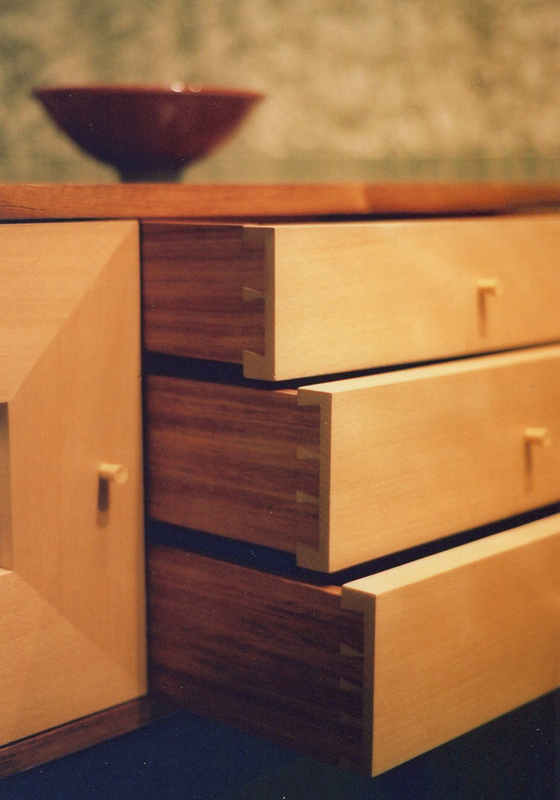 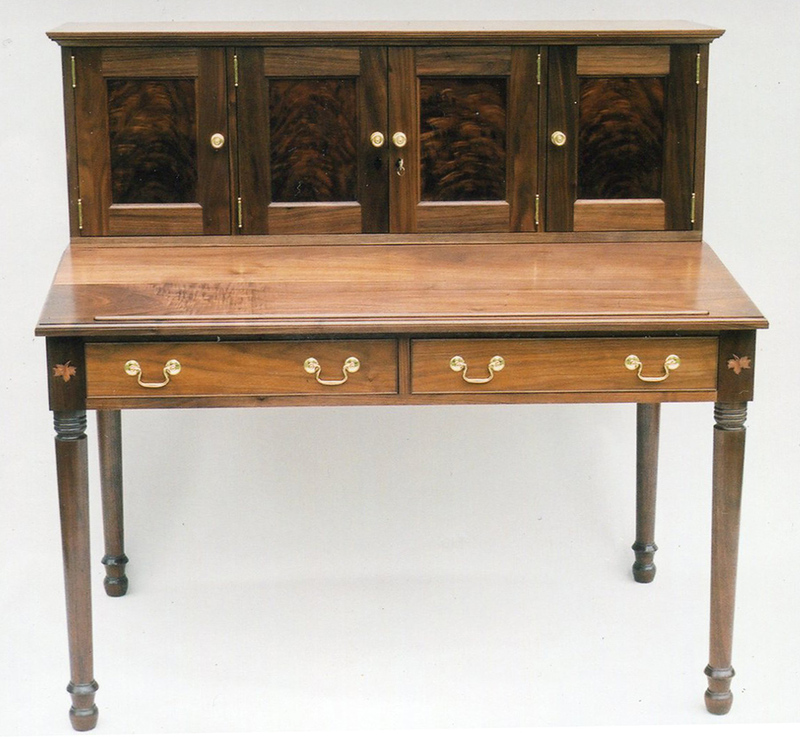 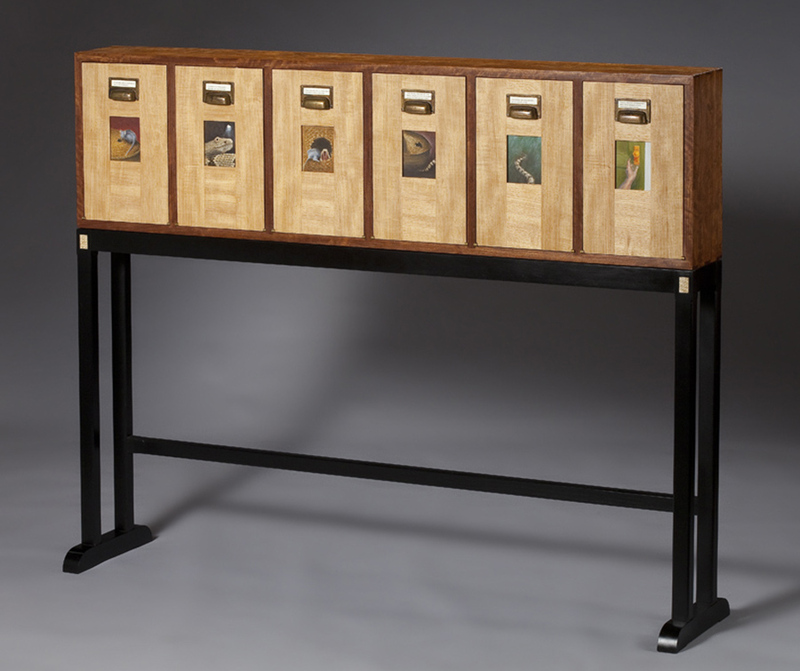 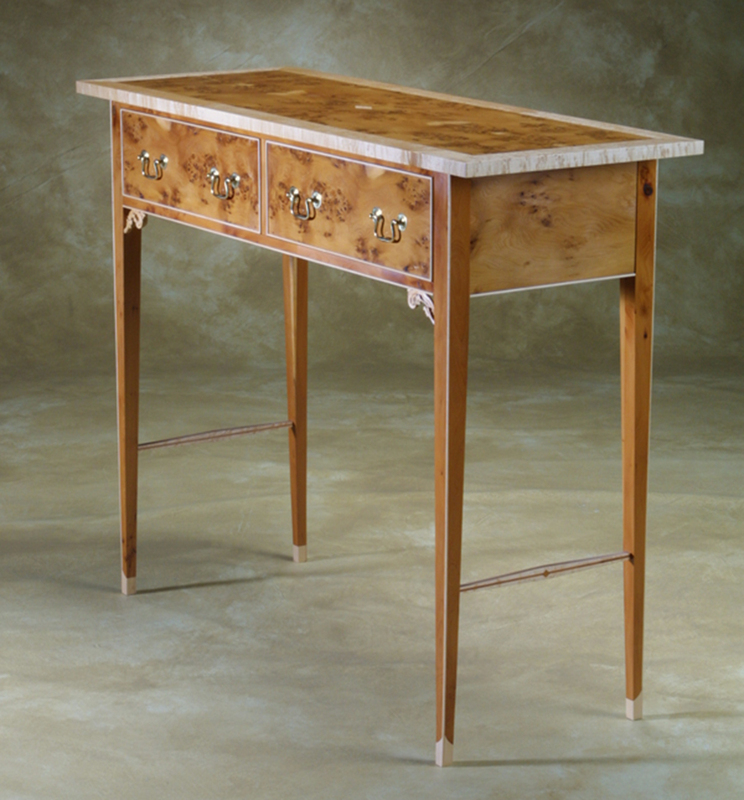 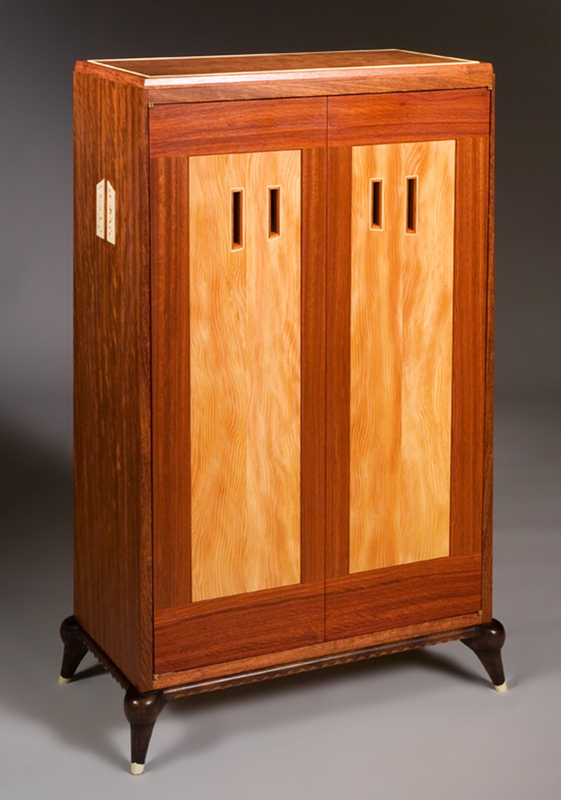 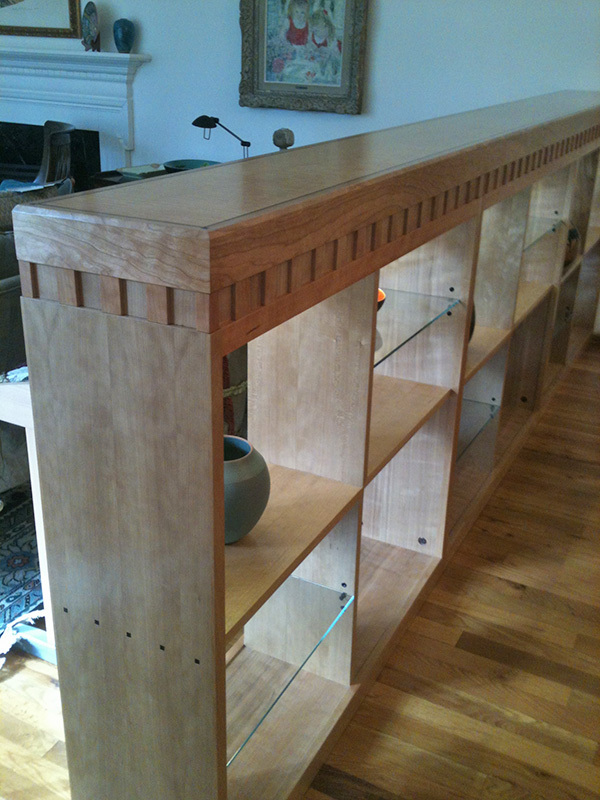 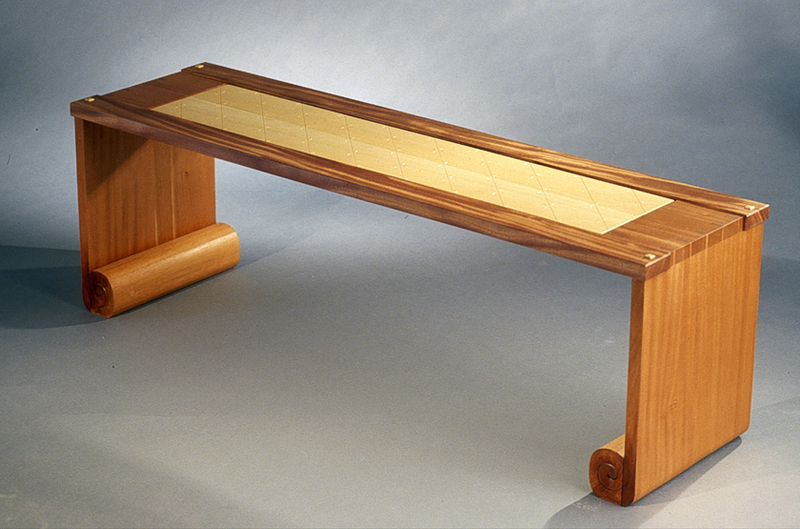 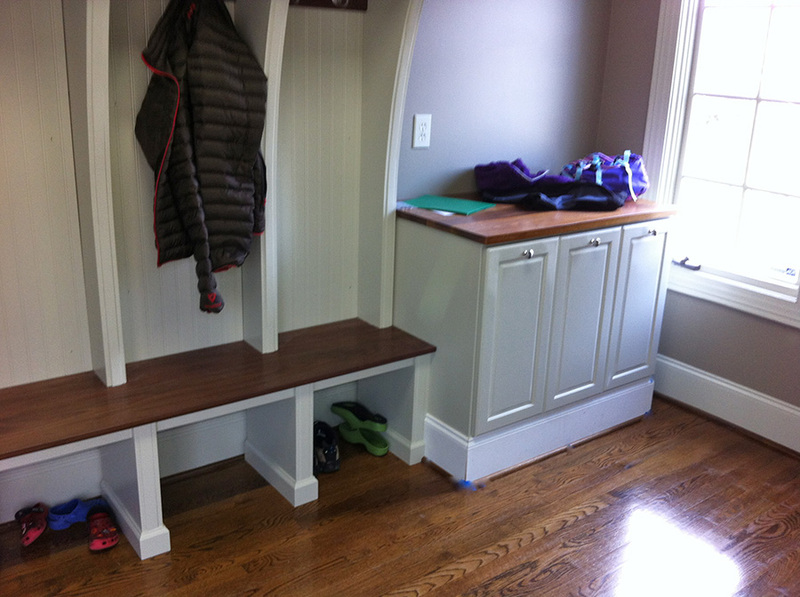 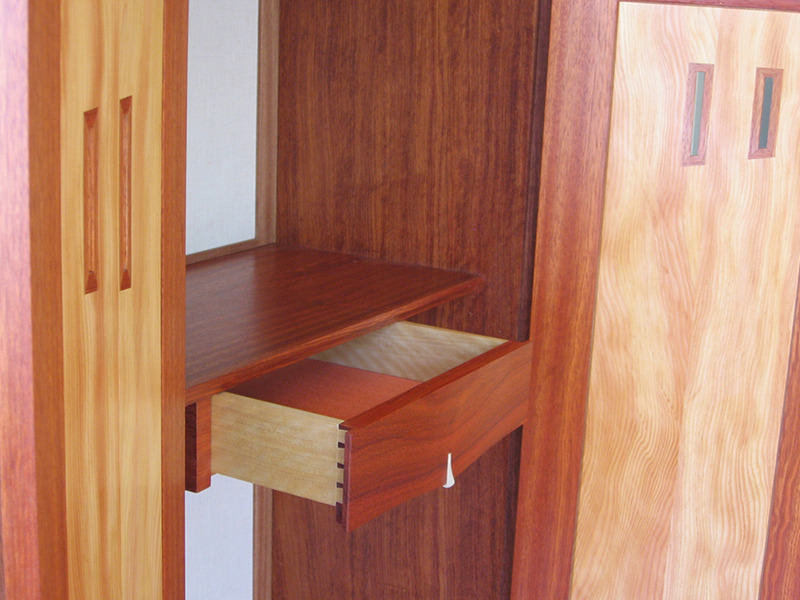 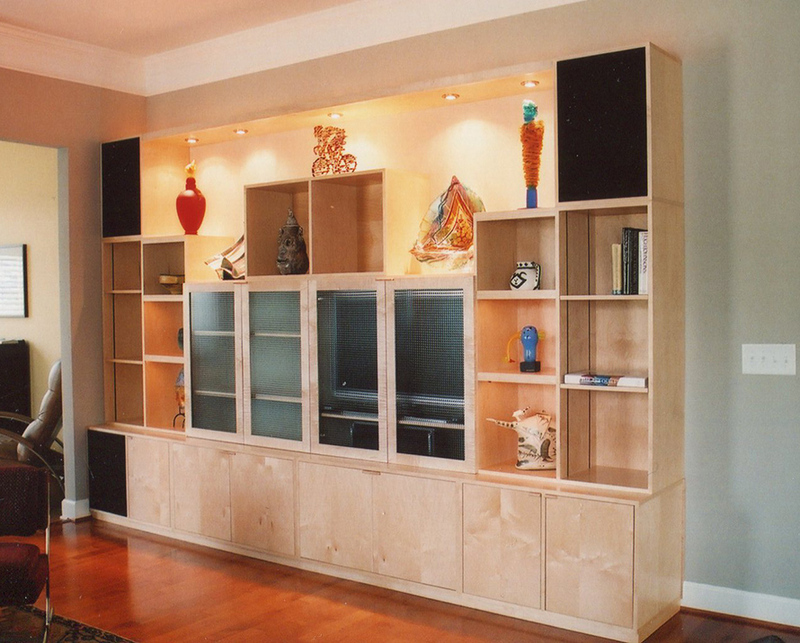 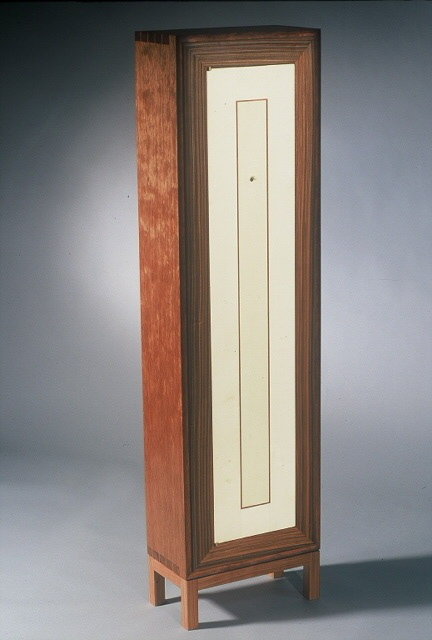 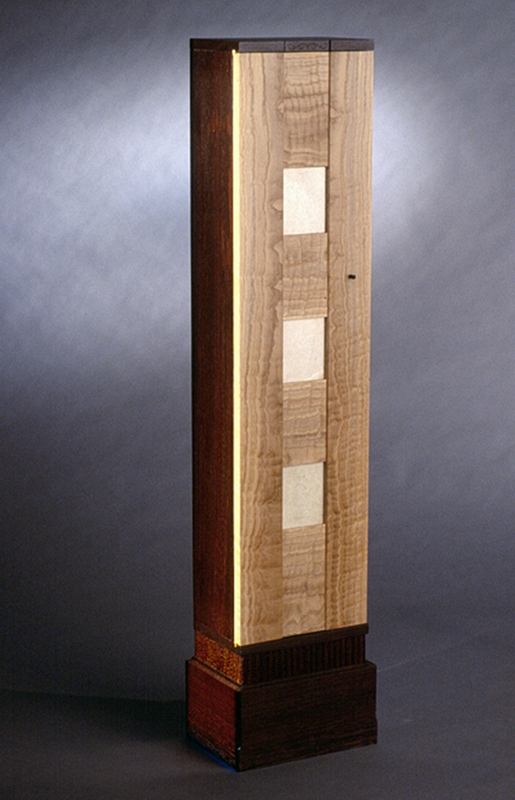 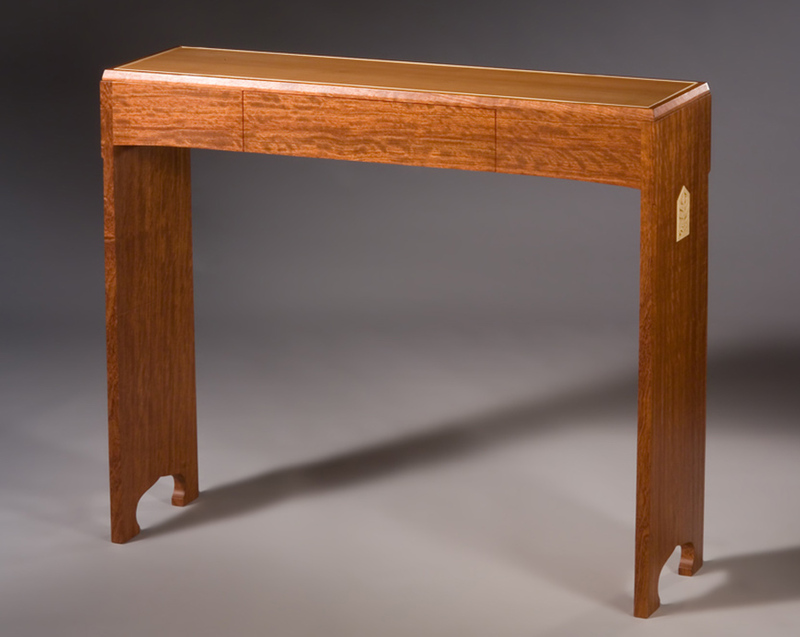 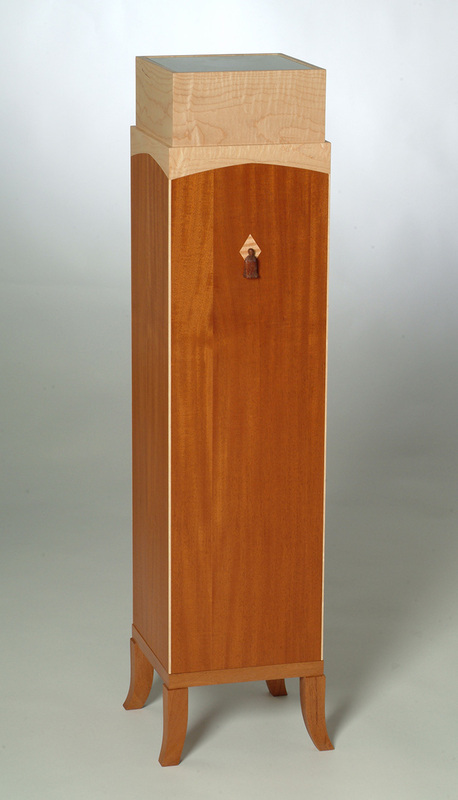 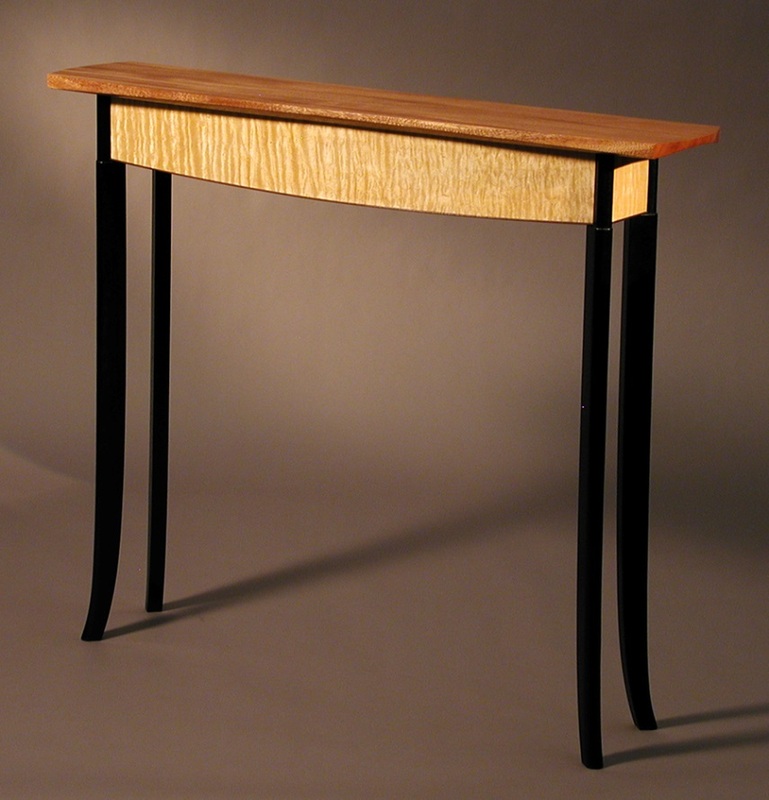 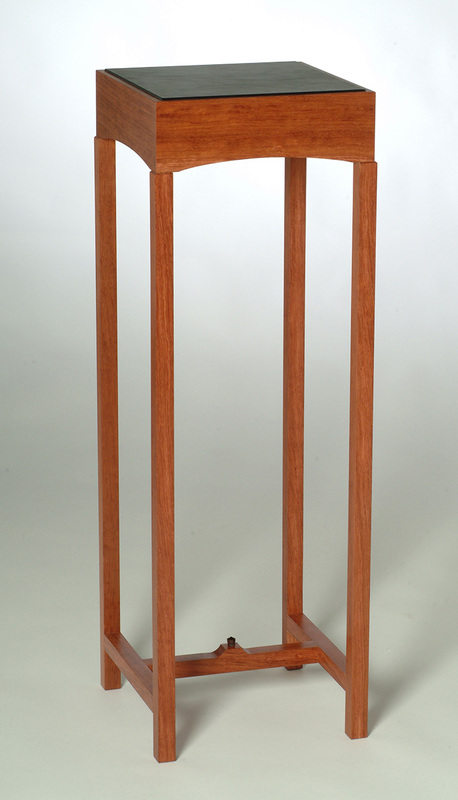 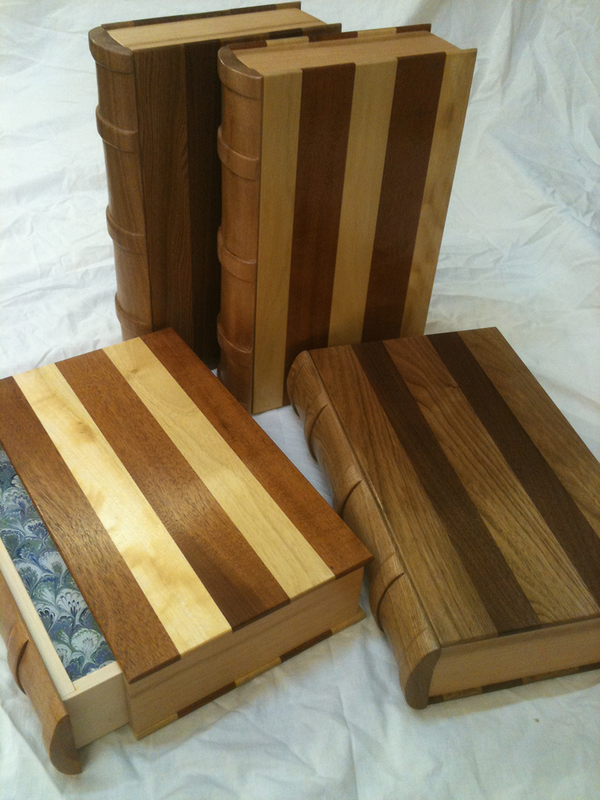 I’ve built handcrafted furniture since 1997 at my shop in Greensboro, NC. 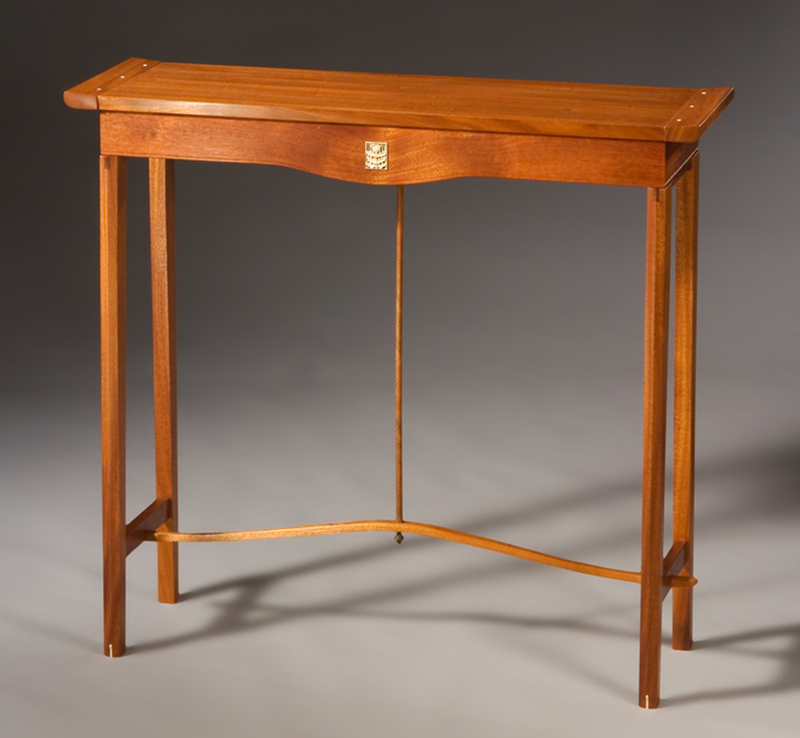 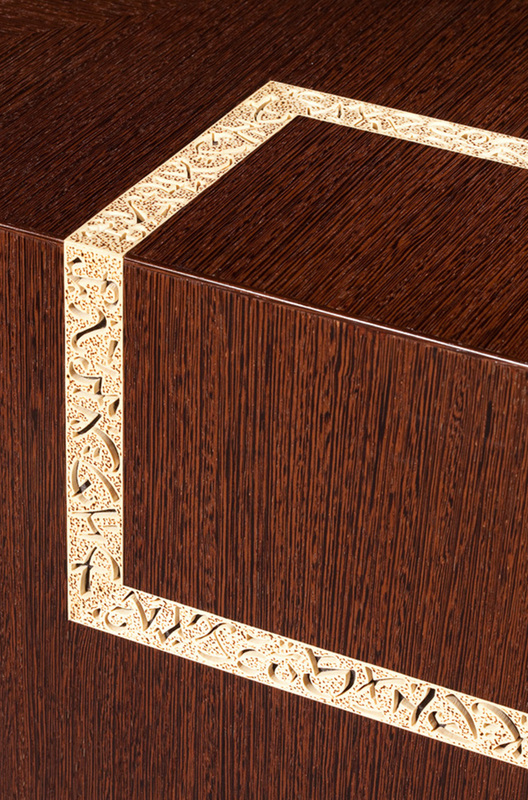 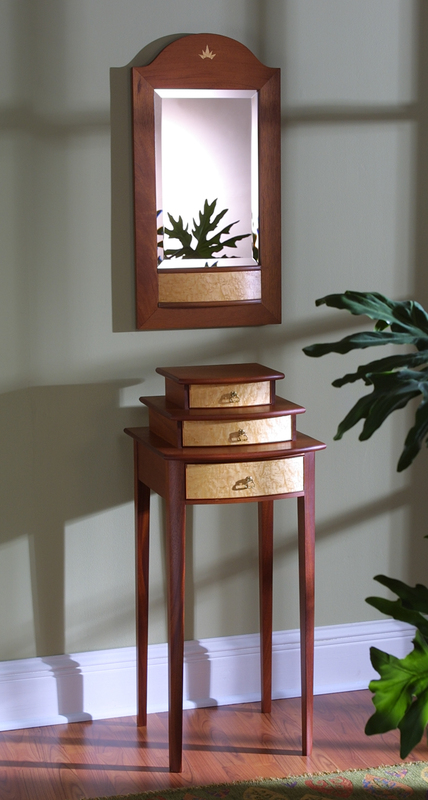 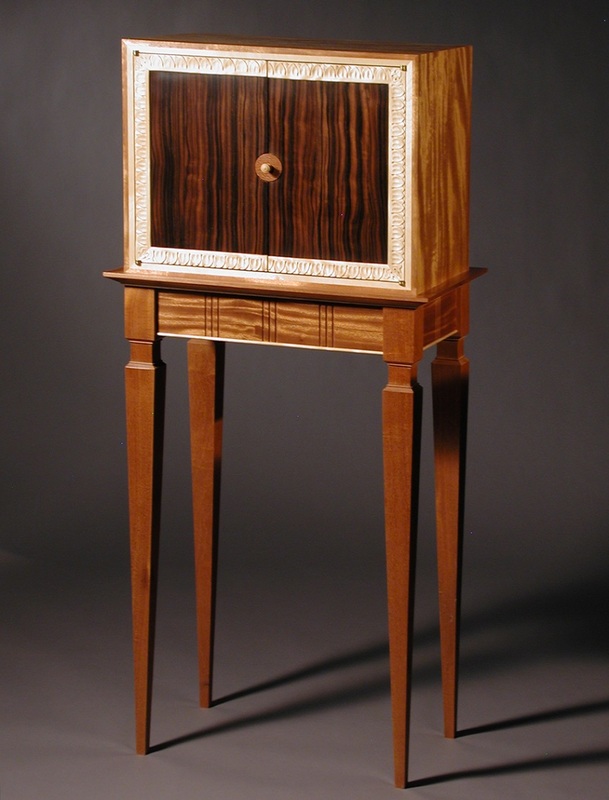 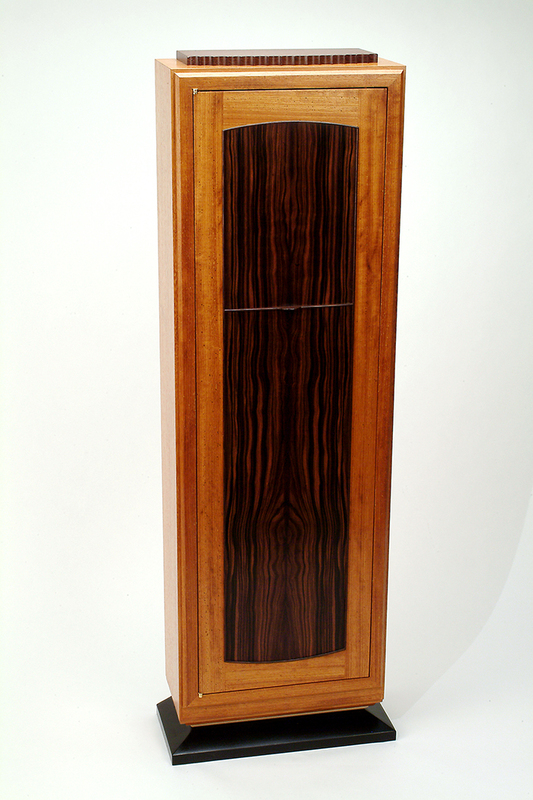 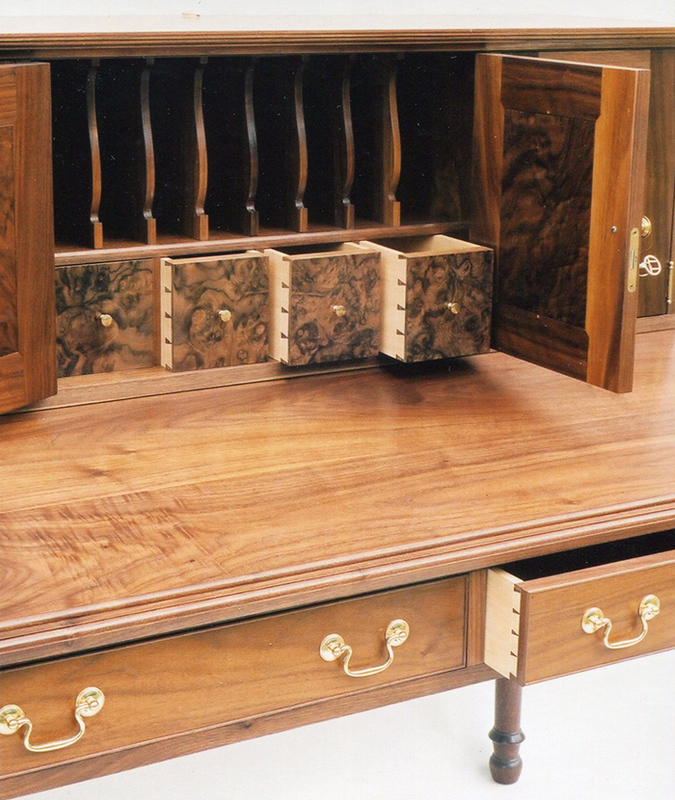 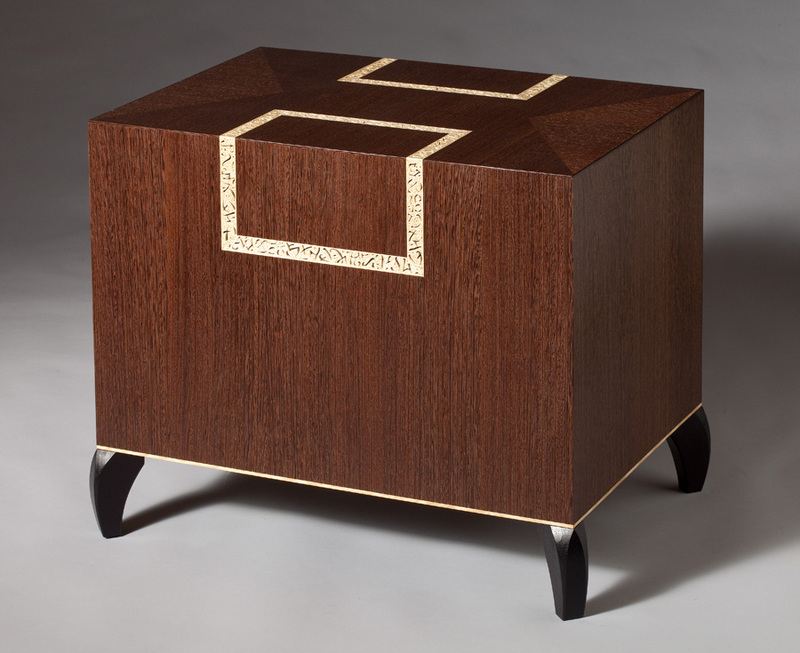 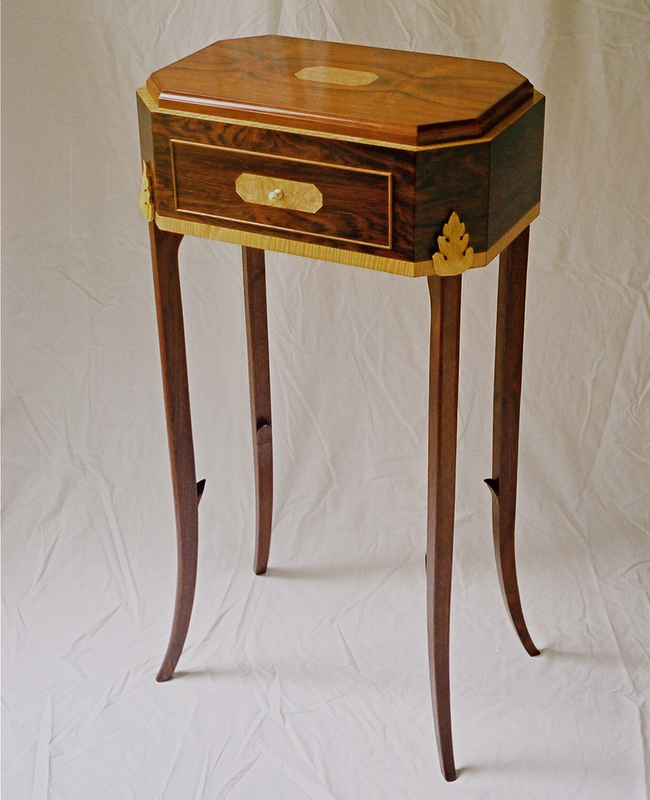 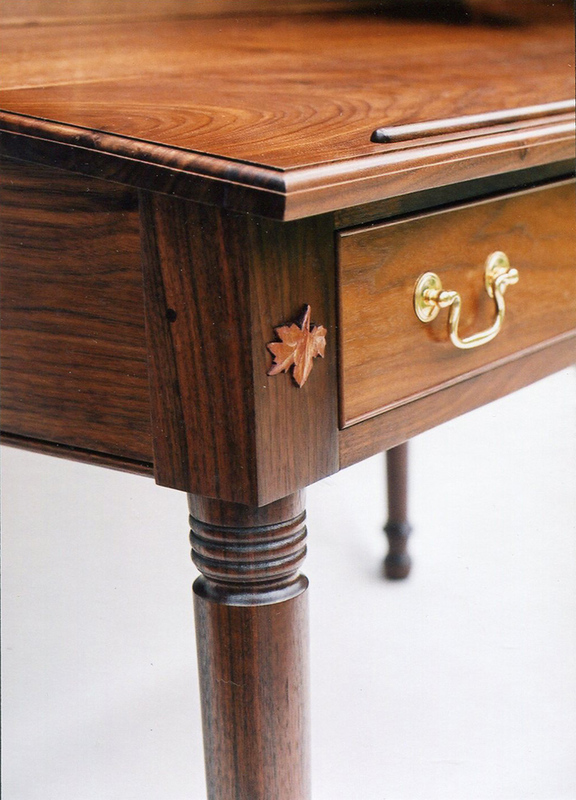 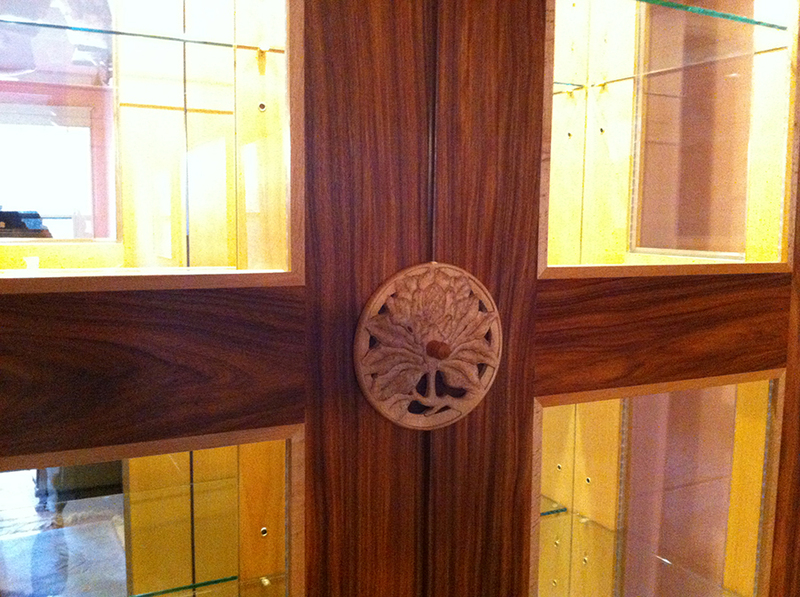 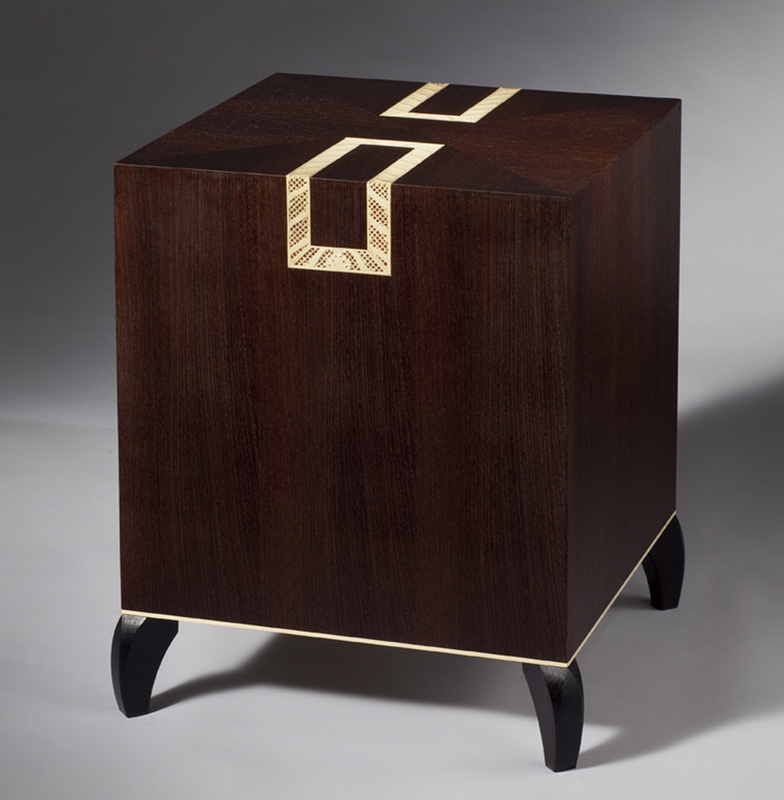 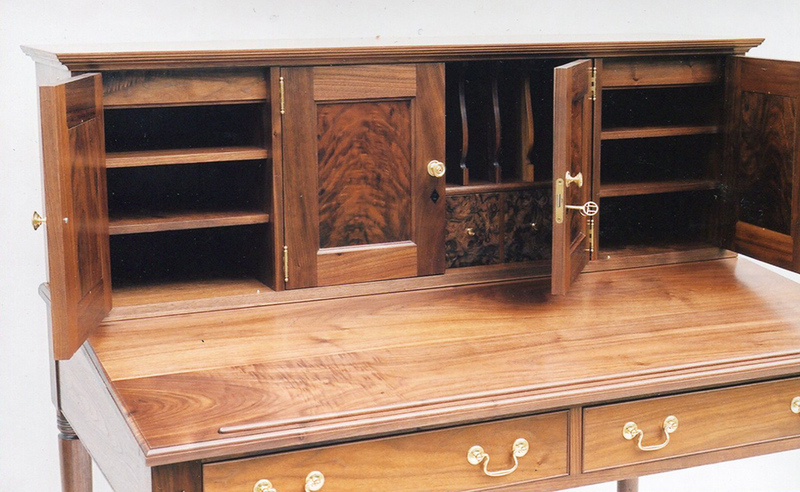 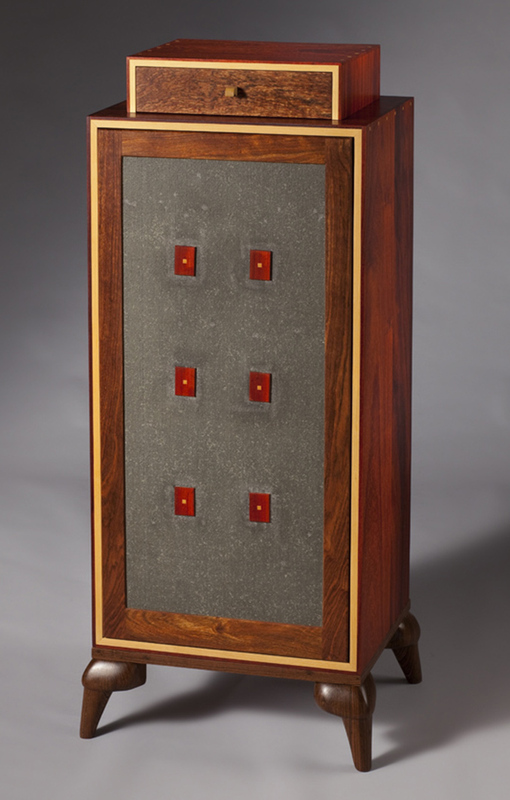 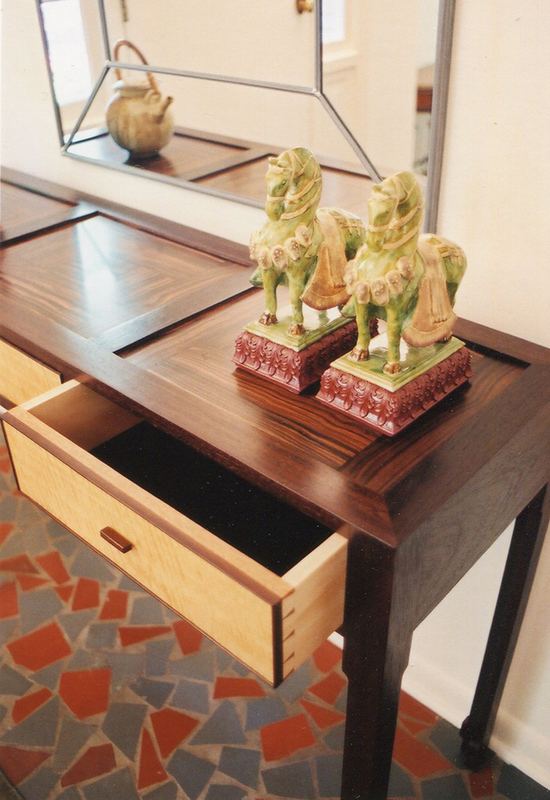 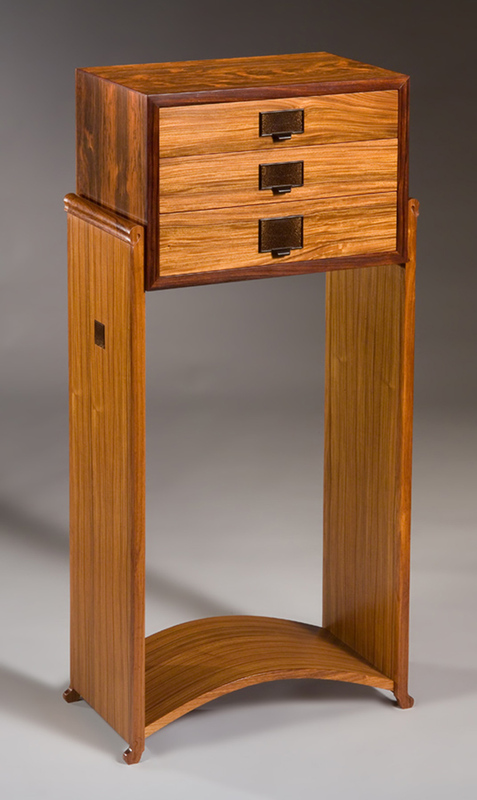 My work is known for its clean lines, ideal proportions, and intricate embellishments such as inlays and carvings; classic joinery techniques and excellent craftsmanship distinguish each piece. 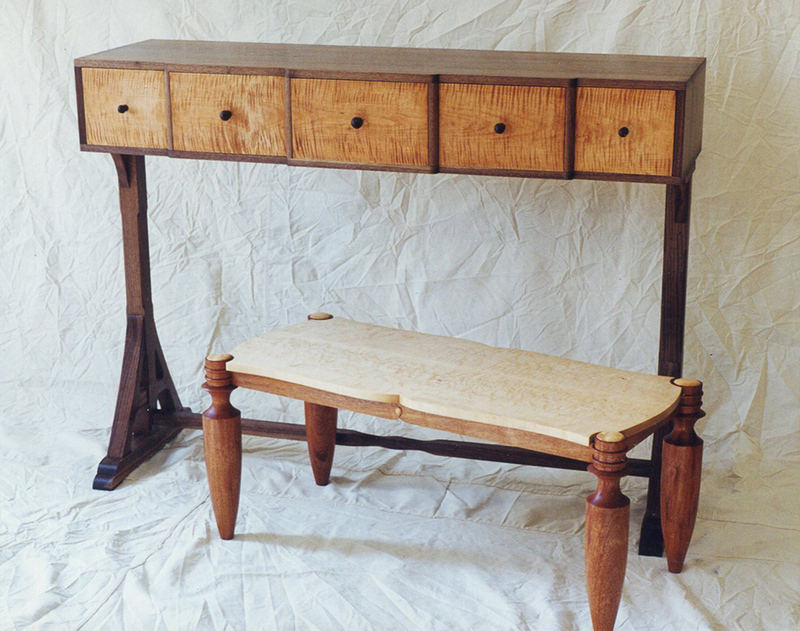 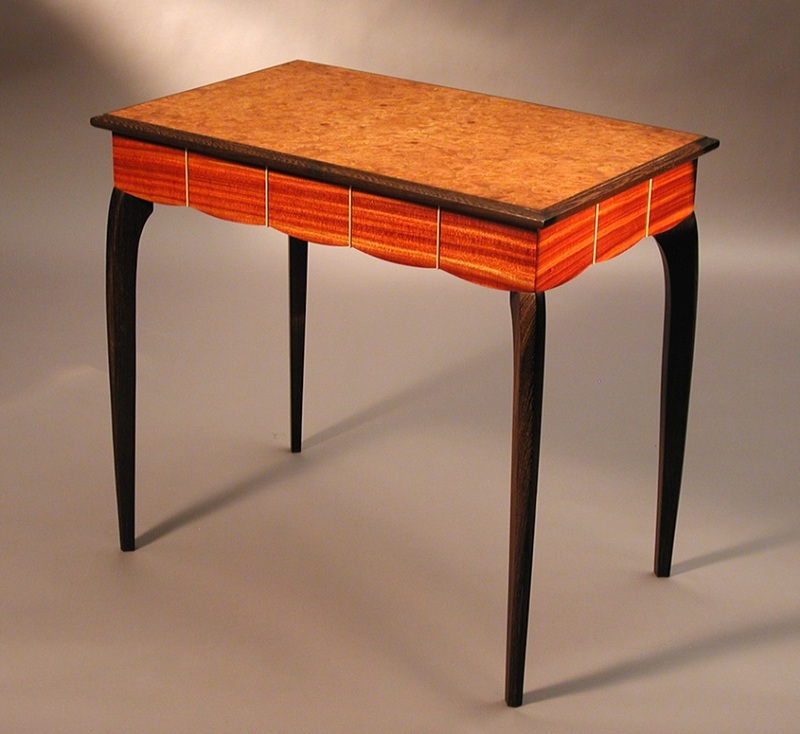 While I draw on many traditional forms for inspiration, my original designs are more referential than reproduction, using mixed woods and some non–traditional materials to maintain a fresh perspective. 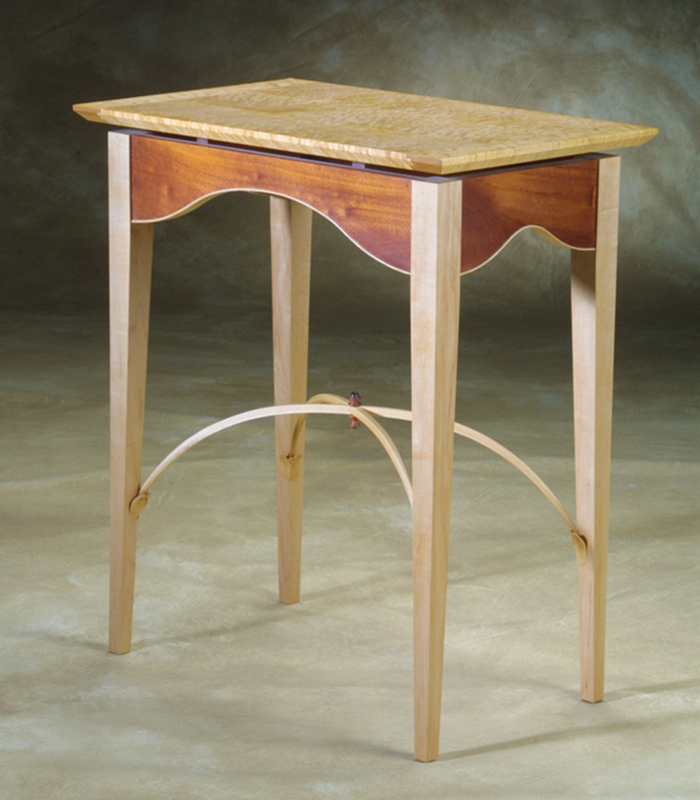 A portfolio of my original designs, some of which are one–of–a–kind pieces, and others I build in small production runs. 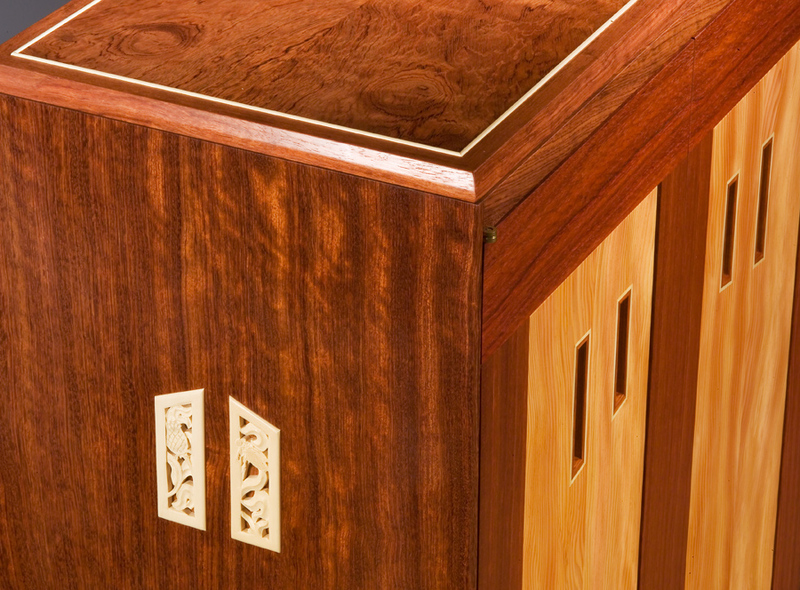 These images represent a very small sampling of the hundreds of custom commissioned projects I have built since 1997..
A selection of built–in work, from simple to elaborate, reflecting the same attention to detail as my furniture. 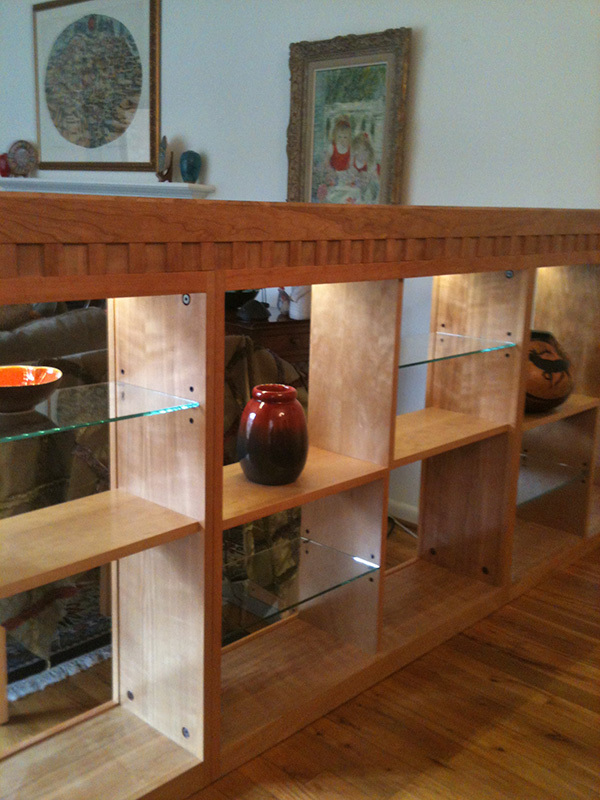 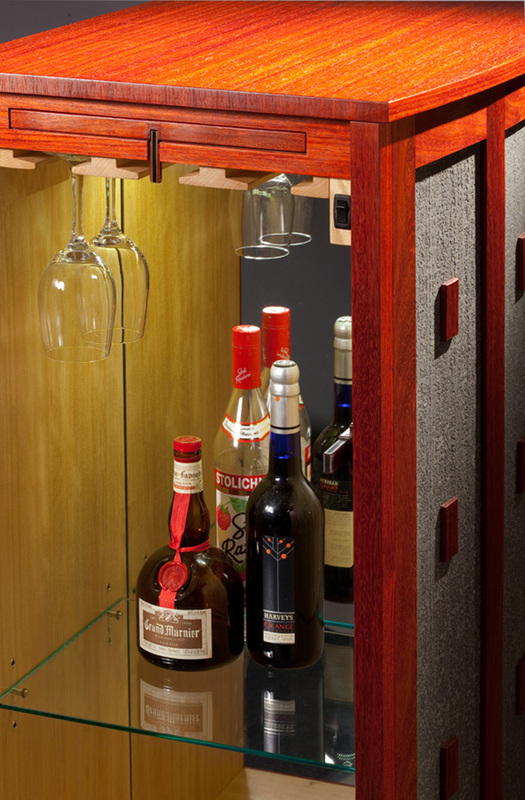 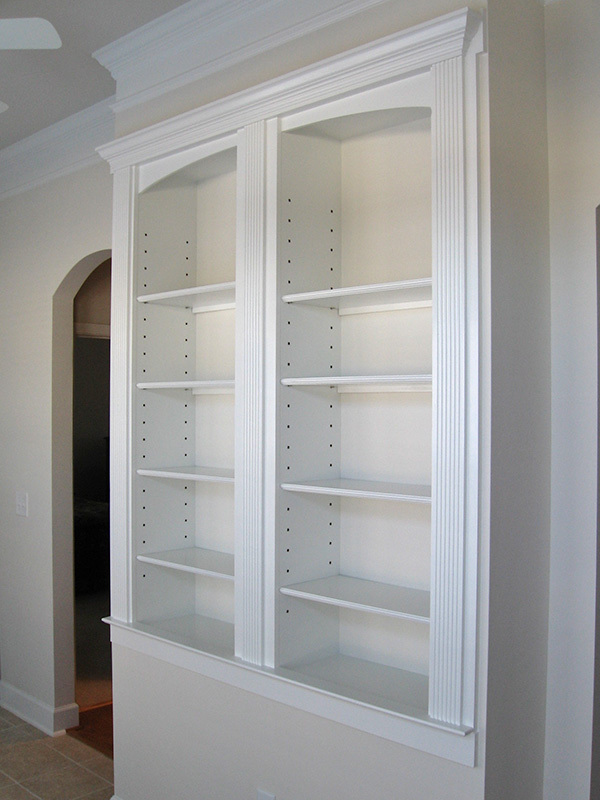 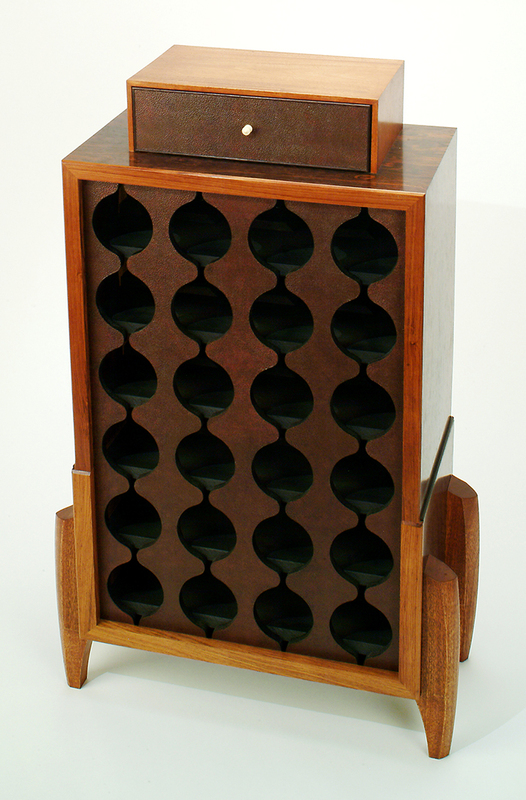 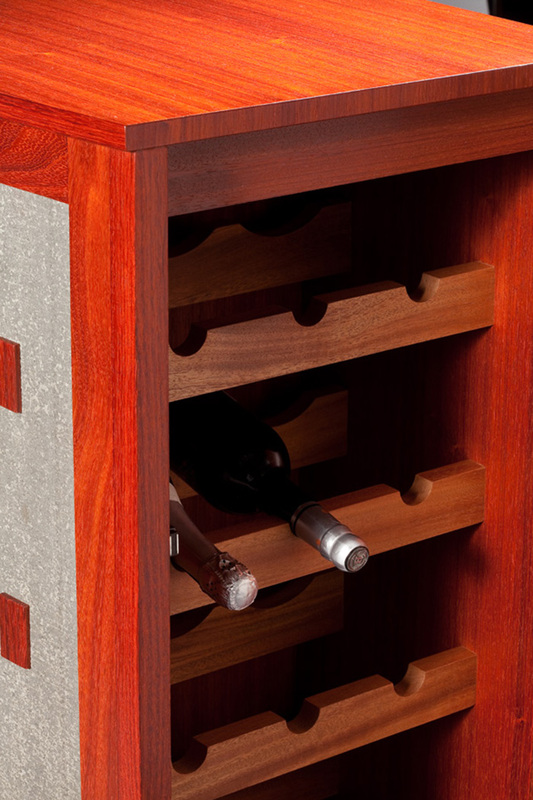 A specialty area I have been enjoying the last few years: beautiful cabinets for wine, spirits, glassware.